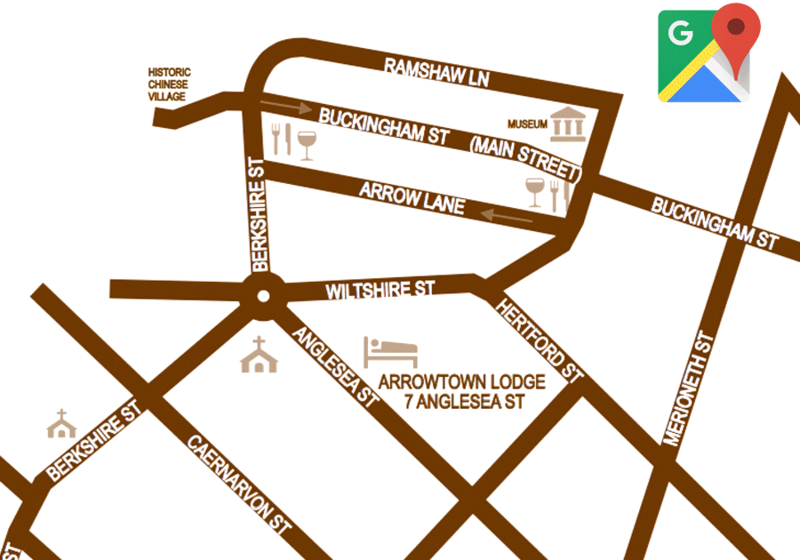 Take the first right after Whitechapel Road into Centennial Ave at the Arrow Junction. Travel for 4 kms past the golf course and camp ground, then turn left into Suffolk Street, then your second left into Merioneth Street, then your first right into Anglesea Street. Arrowtown Lodge is at number 7 on your right. From the Coronet Peak turnoff, drive 12 kms along Malaghans Road. At the crossroads turn left onto Berkshire Street then take the third right into Anglesea Street. Arrowtown Lodge is at number 7 on your left. Turn left at the Amisfield Winery, then drive for 5 kms on the Arrowtown Lake Hayes Road. At the crossroads, continue straight on to Berkshire Street then take the third right into Anglesea Street. Arrowtown Lodge is at number 7 on your left. Download a print-friendly map with directions.